Brief Description: The Russian Spaniel is a relatively small gun-dog with average height in withers of about 16". However, the small size does not affect the ability of this dog with a strong, well built, slightly elongated croup and long muscular legs, to work as well in the field as other much larger gun dogs. The Russian Spaniel's coat is skintight, not too long, with wavy fringes on the back of the legs and on the ears. Its colors are usually white with dark (black, brown, or red) spots and speckles. Head and ears are usually dark in color as well. Other coloring is allowed, and can vary from solids to tricolors (see show pictures). You can see a Russian Spaniel "in movement" on the short video clip made by St. Petersburg's club Prestij. The Russian Spaniel has all field qualities necessary for a gun dog: stamina, great sense of smell, energy during the search, persistence, and an inborn willingness to retrieve. These dogs start to work early in life and do not require a lot of training. The goal of a Russian Spaniel during the hunt is to seek out the bird, to flush it up into the air, and to retrieve the game on command after the shot. They are well equipped for the hunt of a marsh, field, woodland, aridland bird and waterfowl as well as rabbits and other small game (see working pictures). Aside from Russian Spaniels' hunting abilities, as a pet, the Russian Spaniel is devoted and loyal, friendly towards other dogs and people, playful, good-natured house pet, and great with children. What is the difference between a Russian Spaniel and other spaniel breeds? See comparison tables. Obesity: strict diet must be maintained. Otitis: ears must be checked and cleaned regularly. Food allergies: usually identified at the age of 1 - 5 months, most common allergens are chicken and carrots. NO other breed-specific health problems! Living Conditions and Exercise requirement: The popularity of this breed in Russia is mainly due to dogs' small size and temperament, allowing people to keep them in their city apartments. Russian Spaniels are fairly active indoors and can get plenty of exercise inside, and therefore, will do great in a small house or even in a highrise apartment if walked regularly. Unlike with most other spaniel breeds, very little grooming is required. The coat repels water. If a dog gets muddy, all that is needed is let the coat dry and mud can be dusted off with light brushing! Occasional bath will keep the dog's coat clean and shiny. Only the long spaniel fringy ears and fringes on the back of the legs need some extra care. This breed is an average shedder. De Prisco, Andrew and James B. Johnson. Canine Lexicon. TFH Publications, Inc. 1993. 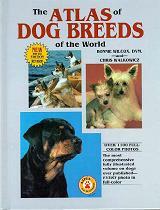 Hart, Ernest H. Encyclopedia of Dog Breeds . TFH Publications, Inc. 1975.